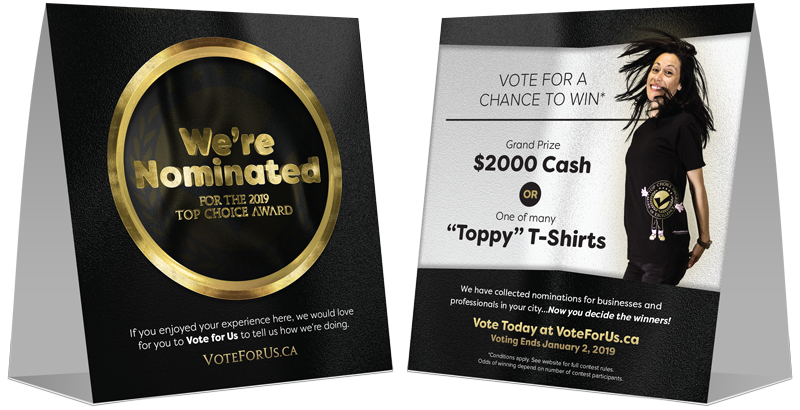 Campaigning for the Top Choice Award provides numerous benefits to nominees. 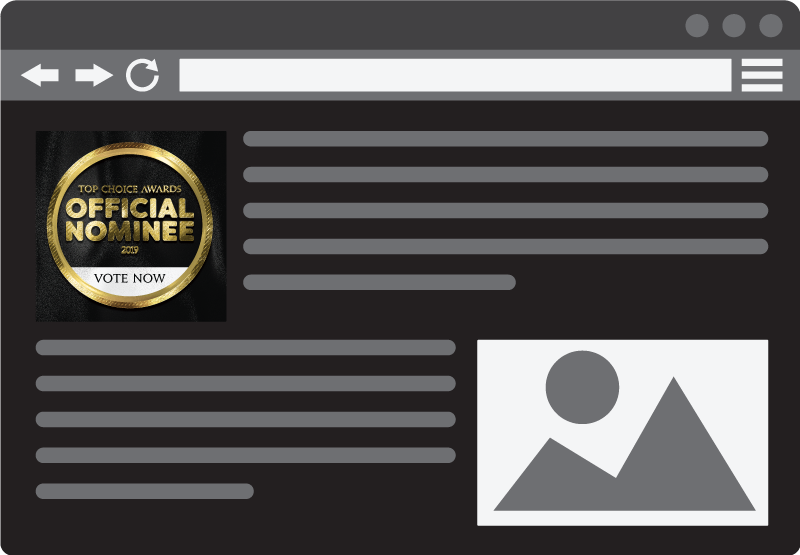 Past nominees have experienced a boost in positive public perception and have benefited from the free promotion and customer engagement it brings to their business. 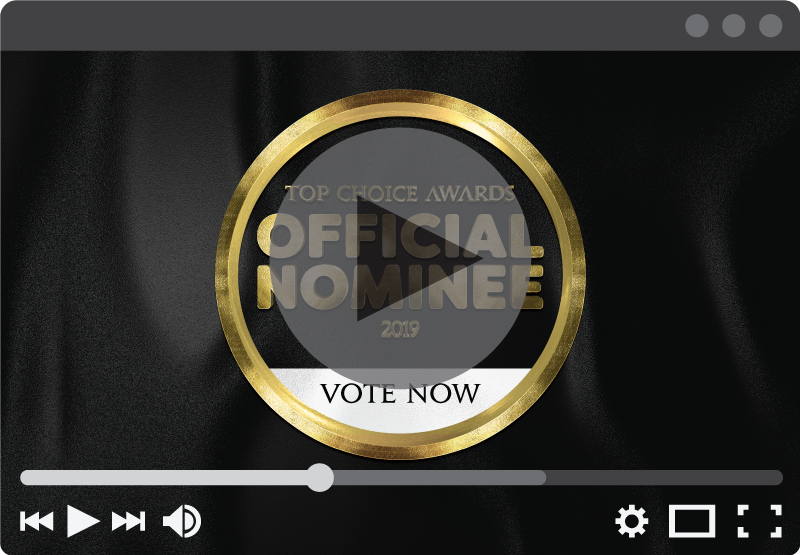 Top Choice Awards has developed tools to help Official Nominees celebrate their nominee status and connect with their customers. 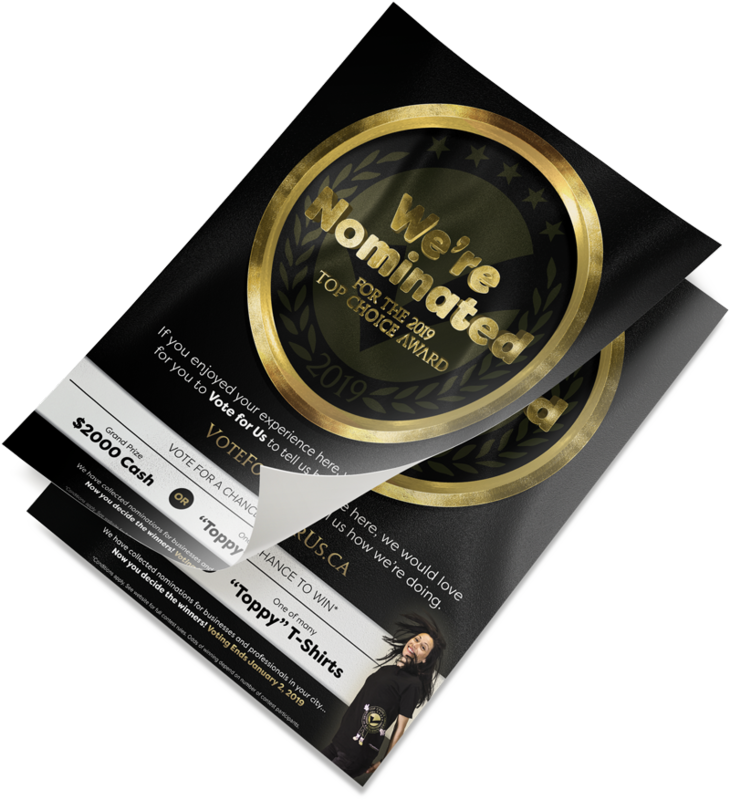 Remind customers of your Official Nominee status in a high-traffic area of your business, for example your front desk or cashier register. Generate awareness for the survey before your customers get in the front door by proudly displaying your posters in your business windows/doors. 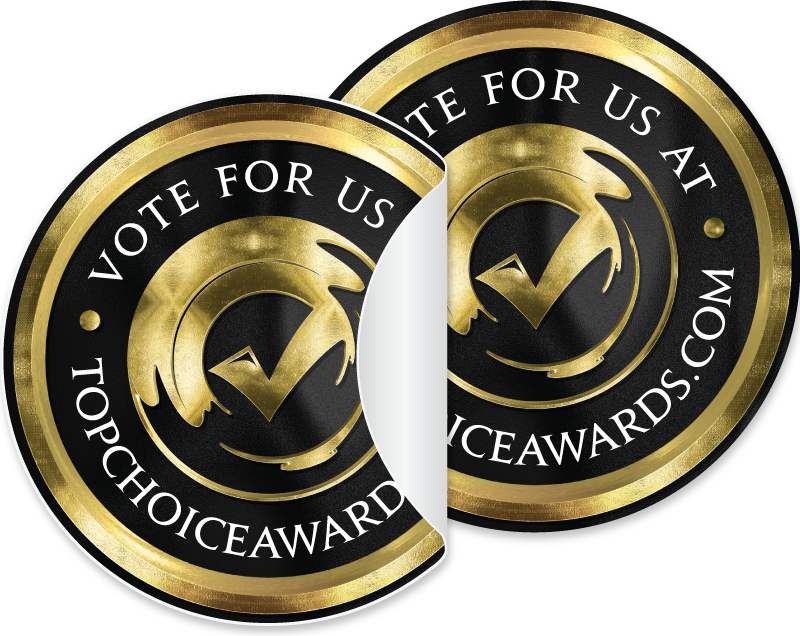 Let customers know you are an official nominee with decals for your business front. Use in combination with your posters for maximum coverage. 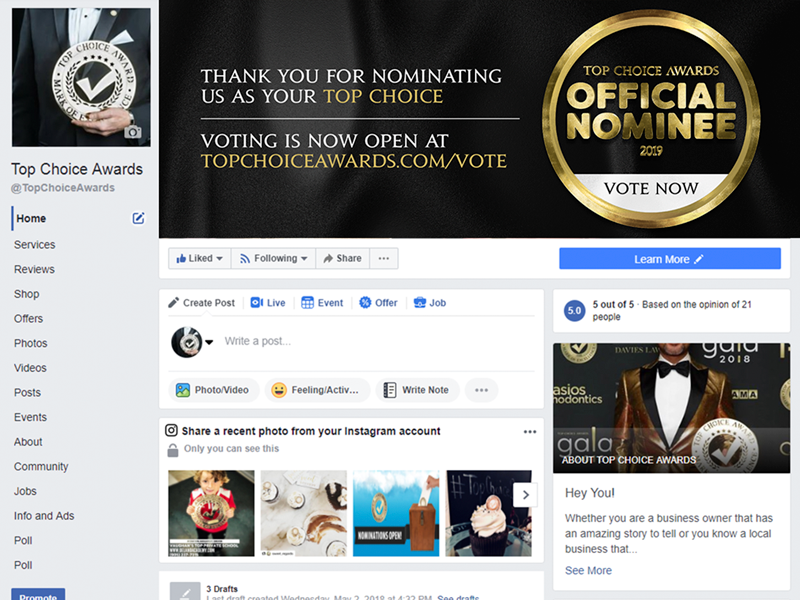 Make a statement by pinning your badge on your social media and on your website, allowing anyone to identify you as a nominee in your city. Grab the attention of your followers by sharing your video and posting it on your site. Your video is customized with your city/category. Reach out to your audience by adding the cover to your social media profiles. Designed to share your status and invite people to vote for you.